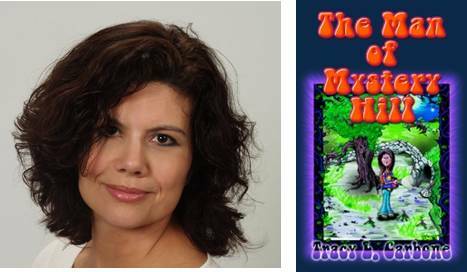 Tracy is a New England native who has been writing fiction since she could hold her first crayon. She writes horror stories, thriller novels, and most recently two screenplays. She also dabbles in children's/young adult fiction and just sold her first children's mystery novel The Man of Mystery Hill. Thanks to this author's generousity, we are fortunate to have three eBook copies of that first children's mystery, The Man of Mystery Hill, up for grabs in out Kick-Off contest! For more information on this title and her current works in progress, visit her website, Facebook page, or follow along on Twitter. This is where I keep track of what I read, what I am waiting to read, and what I want to read. It is also my connection to others who love to read as much as I do. I read almost anything, mostly fiction. I truly love paranormal. You will find a little bit of everything. My current goal is to read at least 100 books this year while complete all my challenges. Today's Adventure is my outlet for my closet bookishness. You'll find book reviews in several genres, along with author interviews and other book-related posts. I love to meet other booklovers, so please stop by! I'm gathering seven years' worth of book reviews, focusing on young adult fiction, and posting them to Read and Wonder. I'm especially fond of science fiction and fantasy, as well as how young adult literature doesn't stay within the typical boundaries of genre fiction. 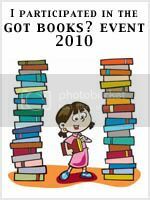 Reviews by Martha's Bookshelf is a forum for book reviews, author interviews and features, book related memes, book giveaways and a few non book related posts. The goal is to encourage authors who write the books and encourage readers to find new and old authors to read. Hey! That logo looks familiar!